The groups charged with supporting the White House’s efforts to expand educational opportunities to communities of color are facing an unknown future without a renewed direction from the Trump administration. The White House Initiative on Educational Excellence for Hispanics, the White House Initiative on Educational Excellence for African Americans, and the White House Initiative on Asian Americans and Pacific Islanders — each housed under the Department of Education with their own presidential advisory commissions — were extended to Sept. 30, 2017, by an executive order former President Barack Obama signed two years ago. Peggy Brookins, who serves on the Educational Excellence for African Americans commission, told NBC News that since President Trump took office, there’s been no communication about what’s down the pike for the initiative or the commission. Appointees of the Educational Excellence for African Americans and Educational Excellence for Hispanic commissions, many of them educators, have used their advisory powers to recommend ways of improving high school and college graduation rates among black and Latino students. The two initiatives also supported Obama's My Brother's Keeper initiative, which sought to close the "opportunity gaps" young men of color faced. Members of the Asian American and Pacific Islander (AAPI) commission, whose reach extends beyond education, have worked on policy briefs on topics like improving language access to federal programs and immigration reform, according to minutes from the December meeting. Advisory committees typically make recommendations to the president, who later reports to Congress how he’ll respond or why he won’t take action. But since Trump’s inauguration in January, none of the three commissions have formally met, according to several current commissioners who spoke with NBC News. “There has been, to my knowledge, no communication between the Department of Education and the [Hispanic initiative] commission or the commissioners,” Patricia Gándara, a UCLA professor who currently serves on the Educational Excellence for Hispanics commission, told NBC News. Asked about any planned reauthorizations in the works, a White House spokesperson said in an email to NBC News there were no public comments on the initiatives as of the time of this reporting. Freeman A. Hrabowski, III, chair of the African American commission and president of the University of Maryland, Baltimore County, declined to comment through a spokeswoman. Several requests for comment as well as phone calls to the chair of the Hispanic commission went unanswered. There has been no AAPI commission chair since two-thirds of its members resigned in February in protest of Trump’s policies. Bill Imada, a current AAPI commissioner, told NBC News that while there has been no formal meeting this year for their group, a “lag time” between administrations was not unusual. “Even if Trump doesn’t reauthorize [the initiative and commission] on October 1st, it doesn’t mean he and the White House won’t do it,” Imada said. But former Deputy Secretary of Labor Chris Lu, who served as the executive director for the Obama-Biden Transition Project, said the comparisons between the transition periods of prior administrations and the current one aren’t necessarily fair. "During the 2008 campaign, we made an early commitment to reestablishing the initiative, and we continued that commitment with stakeholder meetings right after Election Day 2008,” Lu, who was co-chair of the AAPI initiative during the Obama administration, told NBC News. “The Trump team has demonstrated no comparable commitment." Since Trump’s inauguration, new executive directors have not been appointed to any of the three commissions, though each initiative continues to exist and operate with staff members in place. David Johns, former executive director of the African American initiative, told NBC News that regardless of whether or not a new executive order was signed by the president, the work that the initiative has done over the years will continue in the community. “I leverage having a federal mandate be a champion to unapologetically and intentionally champion African-American students, which is needed. But there are still career staffers who are still working for the initiatives, civil servants who have leveraged their time talent and treasures to advance the initiative. I don’t want them to get lost in this. They are real people attempting to do real work to support communities day in and day out,” Johns said. A request for comment emailed to a senior adviser for the African American initiative was not returned. An Education Department spokesperson, responding to an email sent to a senior adviser for the Hispanic initiative, referred inquiry on the future of the program to the White House. The AAPI initiative staff also referred comment to the White House. The oldest of the three, the White House Initiative on Educational Excellence for Hispanics, was established by former President George H.W. Bush through executive order on Sept. 24, 1990. It has been renewed by presidents Bill Clinton, George W. Bush, and Barack Obama. Commissioners over those years have been tasked with making recommendations on a host of issues, including how to close the achievement gap among Hispanic students. The White House Initiative on Asian Americans and Pacific Islanders was established by Clinton in 1999. Originally heavily centered on education, it shifted direction in 2001 under Bush to focus on business and economic issues before being moved back to the Education Department under Obama. The White House Initiative on Educational Excellence for African Americans was created by Obama through executive order in July 2012. The initiative hosted a series of summits in 2014 aimed at bringing leaders and community members together to improve learning and development for African American children. Trump did sign an executive order on Historically Black Colleges and Universities (HBCUs) in February, similar to those authorized by presidents starting with Jimmy Carter. On Sept. 18, Johnathan Holifield was named executive director of the HBCU Initiative, seven months after it was re-authorized. With the future of the three initiatives up in the air, some commissioners are wondering what’s next. Former AAPI commission chair Tung Nguyen questioned how a future AAPI commission would function under Trump. “I don’t understand how they can get much done for the community when the underlying agenda of this administration is very anti-our community,” Nguyen told NBC News. 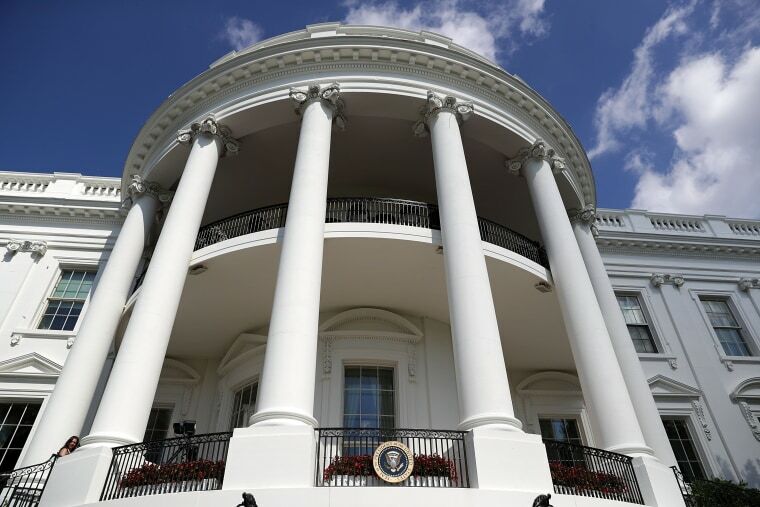 While noting the importance of having a direct pipeline to the White House, National Education Association President Lily Eskelsen García said their work will continue, with or without the White House. “Now we will have to step up our game in building those important coalitions, in building the body of research that then helps the right decisions to be made — and not from somebody’s ideological perspective,” Eskelsen García, a member of the Hispanic commission, told NBC News. Meanwhile, 12 members of the Hispanic commission and a former executive director of the initiative issued a statement on Sept. 11 calling on Trump to meet with them about renewing the initiative and commission. Brookins, the African American commissioner, said the combination of not meeting and the radio silence since Trump took office has exacted a toll. “Well, I think you don’t have somebody advocating within the administration for the community, and that’s always detrimental for any community,” she said.